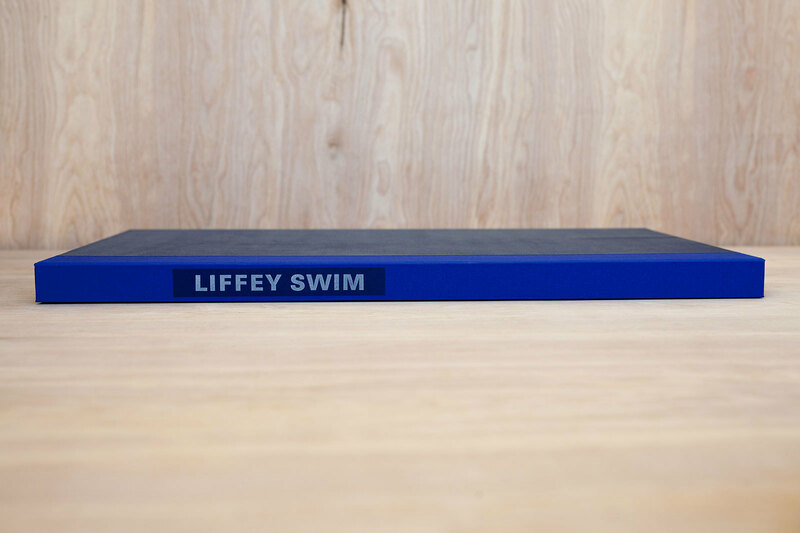 This edition of Liffey Swim is a collaboration between book-maker Jamie Murphy, visual artist James Earley & poet Jessica Traynor. Inspired by the text, James Earley has produced the six layered images which were printed from the original linoleum & woodcut blocks. 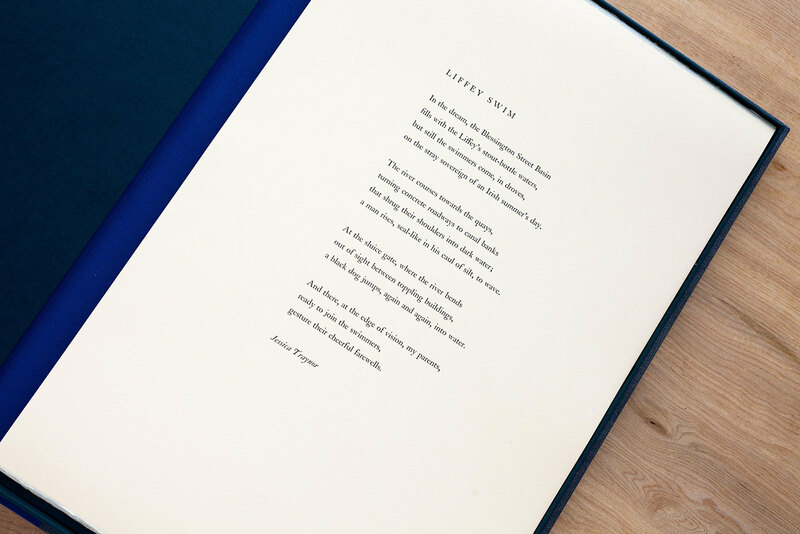 The text has been hand-set in 24 point Monotype Caslon Small Face, supported by 18 point Monotype Caslon Old Face. 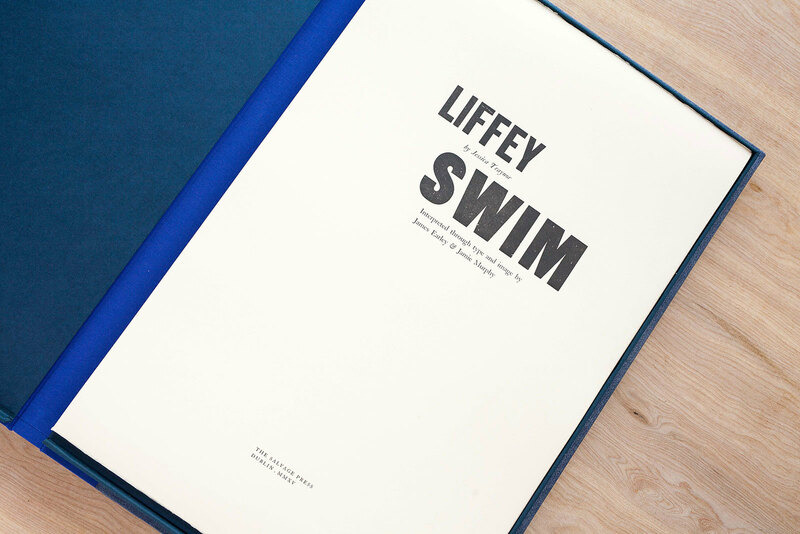 Jamie Murphy set the type & carried out the letterpress work on a FAG Swiss Proof 40 proofing press while in the position of Designer in Residence at Distillers Press, NCAD, Dublin (105 mtrs from the River Liffey). 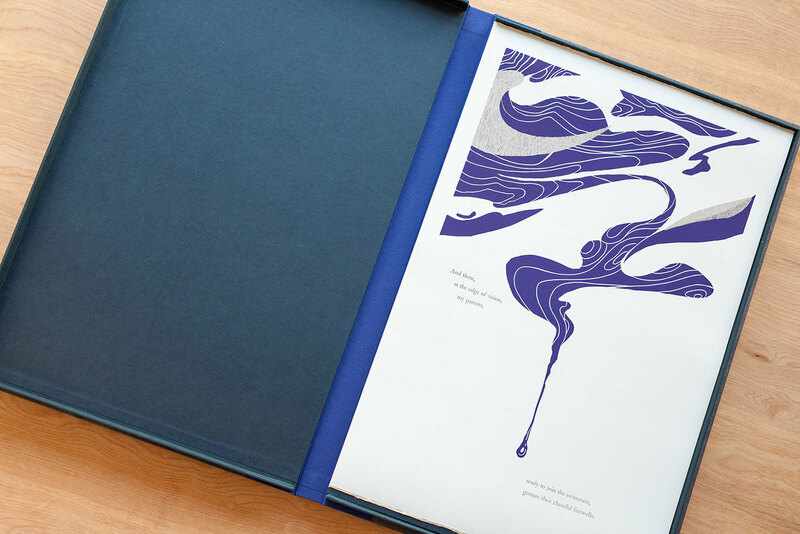 The edition is printed on 300 gsm Magnani Pescia mouldmade. 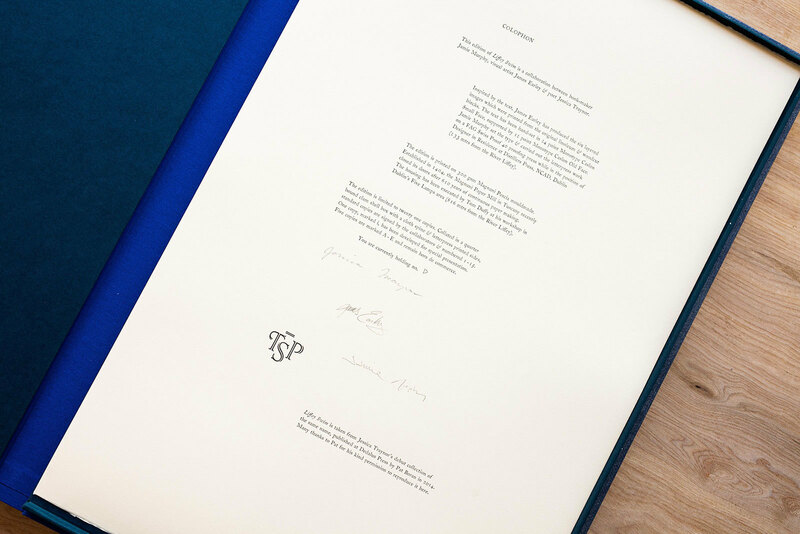 Established in 1404, the Magnani Paper Mill in Tuscany recently closed its doors after 610 years of continuous paper making. The housing has been executed by Tom Duffy at his workshop in Dublin’s Five Lamps area (1345 mtrs from the River Liffey). 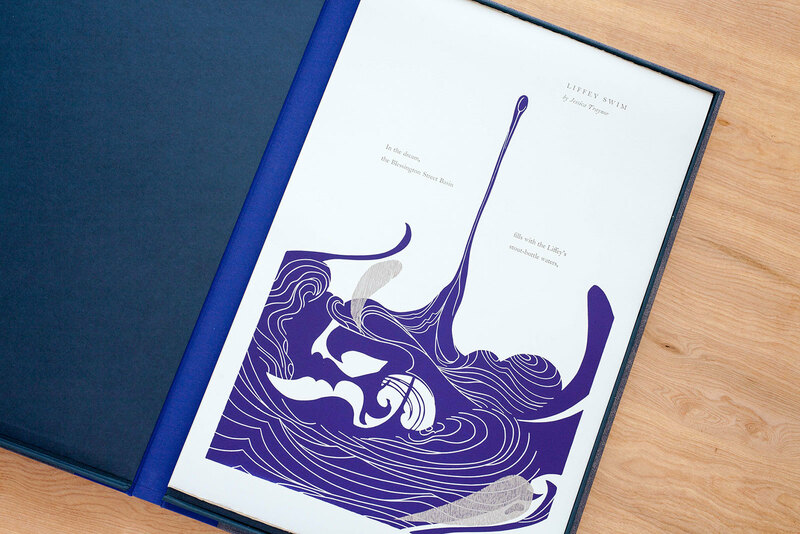 The edition is limited to twenty one copies. 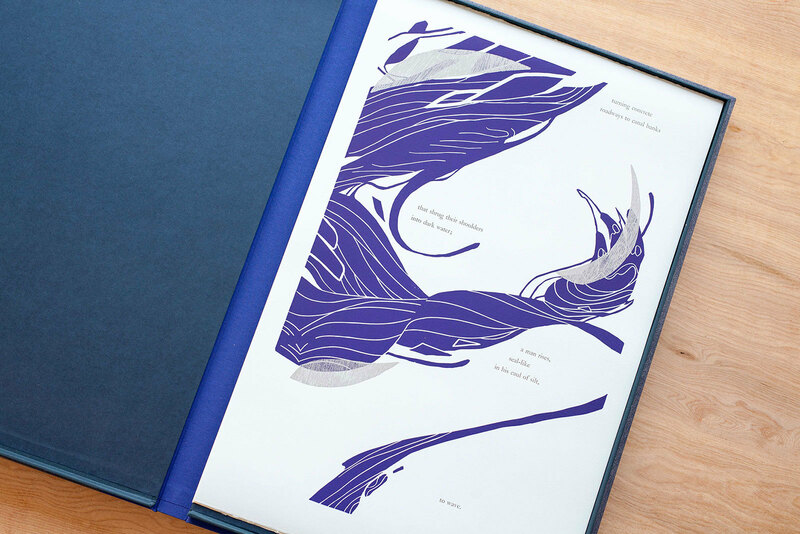 Collated in a quarter bound clam shell box with a cloth spine & letterpress printed sides, standard copies are signed by the collaborators & numbered 1—15. 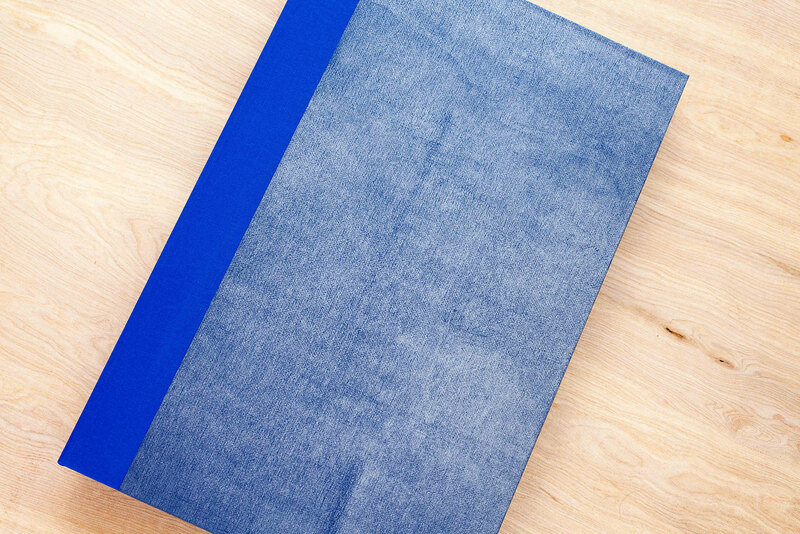 One copy, marked i, has been developed for special presentation. Five copies are marked A—E and remain hors de commerce.